USA Today is reporting that city governments across the country are finding themselves increasingly on the losing end when it comes to pushing liberal programs against what appears to be a political sea change in which conservatives hold the upper hand. It’s a “turnabout is fair play” situation in many states, where Republicans control legislatures and governors’ offices. For years, Democrats held sway at all levels of government, but after handing their constituents one failed program after another from gun control to “sanctuary cities” the tide has changed. Rendell offers five strategies for his party to regain control, but what does that mean? Is he more interested in power for the party, or improving life in the United States? It is clear from political rhetoric of late that his party is apparently not interested in “making America great again.” That is, unless “greatness” is measured by how many “safe injection sites” can be created for drug addicts, or how much local laws can erode the Second Amendment, or how well angry mobs can shut down political speech with which they disagree. Apparently, municipal governments controlled by liberals don’t feel like they should be answerable to their constituents. Witness the resistance to soda, gun and income taxes adopted by the City of Seattle. When the liberal-dominated Washington State Supreme Court handed down an opinion supporting that city’s so-called “gun violence tax” last week, it sent a message to opponents of the other taxes that the city may be allowed to walk around the state constitution. There is already talk about finding candidates to run and unseat that court’s justices. Meanwhile, cities such as Detroit, Chicago, Baltimore and Washington, DC, which have been under Democrat control for decades have seen violent crime increase while social decay has set in for certain neighborhoods. 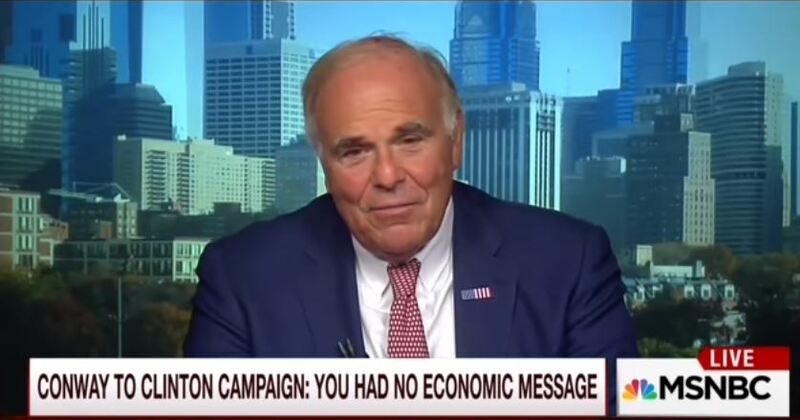 If Rendell thinks his party can sell itself with those examples, Democrats may be in for a bumpy ride.